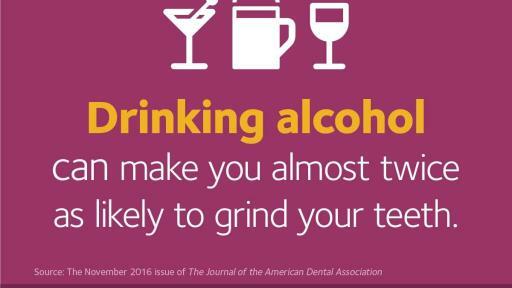 Just in time for the holidays, a new study from The Journal of the American Dental Association (JADA) suggests that some favorite party vices – alcohol, caffeine and tobacco – may be associated with sleep bruxism, commonly known as teeth grinding. Researchers conducted a systematic review of the literature and found seven studies that met their criteria. The studies ranged in size from 51 to more than 10,000 people who ranged from 18 to 55 years of age. 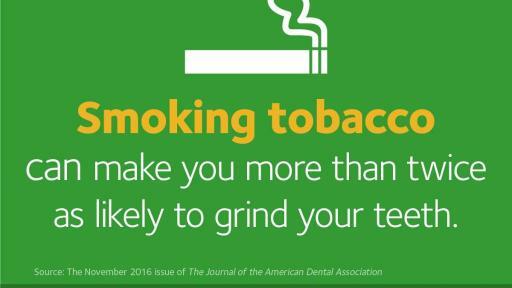 According to the review, smoking tobacco can more than double the odds of teeth grinding, drinking alcohol nearly doubles the odds, and heavy caffeine drinking (more than 760 milligrams a day) increases odds by one and a half. 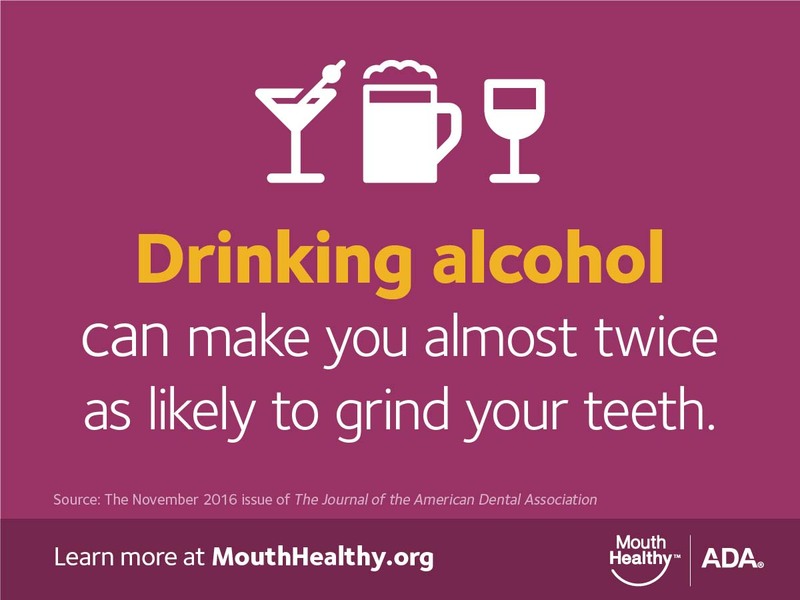 In addition to drugs such as alcohol and tobacco, teeth grinding has also been linked to stress, sleep disorders, abnormal bite and other factors. 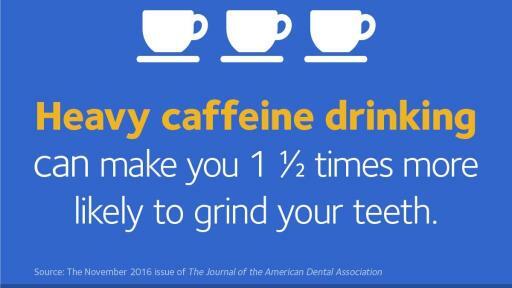 Symptoms of teeth grinding include dull headaches, jaw soreness, muscle pain, teeth that are painful or loose and fractured teeth. Patients who experience symptoms of teeth grinding should talk to their dentist about potential causes and solutions. 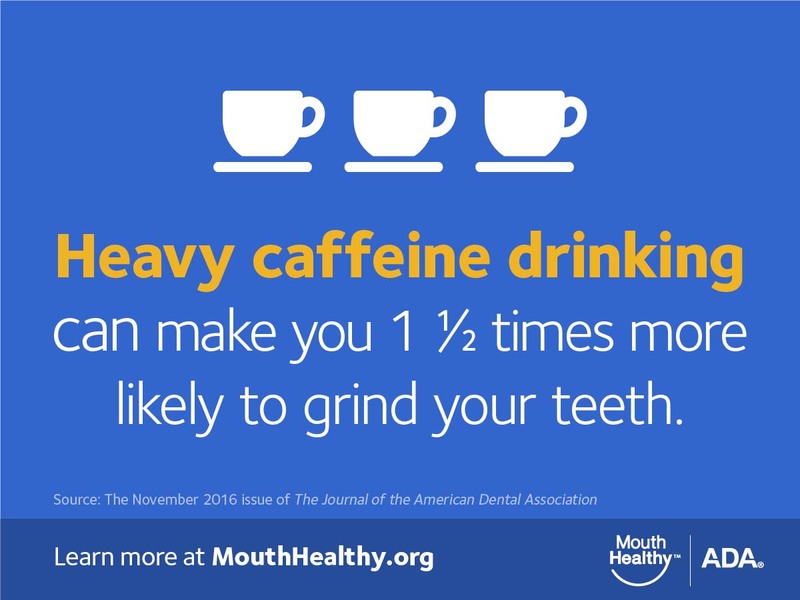 For additional information on teeth grinding, visit MouthHealthy.org. Editor’s Note: For more JADA news, follow the ADA and ADA News on Twitter @AmerDentalAssn and @ADANews. The not-for-profit ADA is the nation’s largest dental association, representing more than 159,000 dentist members. The premier source of oral health information, the ADA has advocated for the public’s health and promoted the art and science of dentistry since 1859. The ADA’s state-of-the-art research facilities develop and test dental products and materials that have advanced the practice of dentistry and made the patient experience more positive. The ADA Seal of Acceptance long has been a valuable and respected guide to consumer dental care products. The monthly The Journal of the American Dental Association (JADA) is the ADA’s flagship publication and the best-read scientific journal in dentistry. For more information about the ADA, visit ada.org. 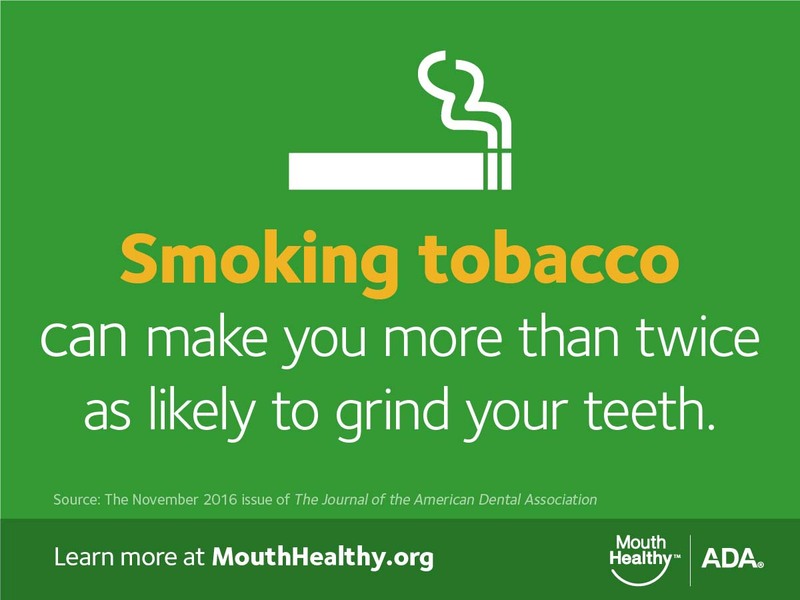 For more information on oral health, including prevention, care and treatment of dental disease, visit the ADA’s consumer website MouthHealthy.org.